Cargo handling in Polish seaports exceeded last year's barrier of 100 million tons and amounted to 101.19 million tons. This level was achieved for the first time in history – said on Wednesday Polish Minister of Maritime Economy and Inland Waterway Transport Marek Gróbarczyk. In 2017, 87 million tons of cargo were handled in Polish ports. "This is a huge historic success showing the dynamic development of Polish seaports. We make efforts to keep up the pace of rapidly growing throughput, which is why we are implementing a wide investment program that is to improve these results even more" - said Gróbarczyk. The Ministry of Maritime Economy and Inland Navigation announced that the historic barrier of 100 million tonnes of throughput in Polish ports was exceeded, thanks to the three largest seaports in Poland. The record does not include the results of other ports (such as Police or Kołobrzeg), which are not supervised by MGMiŻŚ. 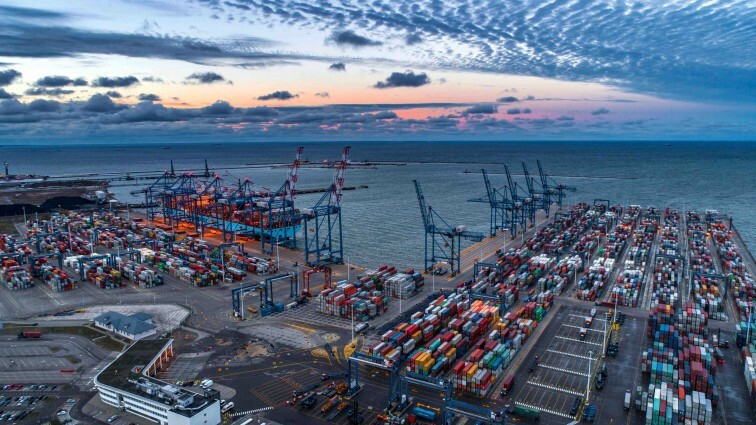 The ministry said that in 2018 49.1 million cargo were handled at the Port of Gdansk, which is a 22,77 percent higher result than in 2017. On the other hand, Port Szczecin-Świnoujście handled 28.6 million tonnes for the whole of 2018, 13 perc. more than in 2017. Ministry of Maritime Economy data show also that Port of Gdynia handled 23.49 million tons of goods, 10.7% more compared to 2017. In total, the result for 2018 was by almost 16 percent better than for 2017. 20 billion PLN is to be allocated to investments on the Coast by 2030, mainly in the ports of Gdańsk, Gdynia and Szczecin-Świnoujście. In the next 13 years, the port in Gdansk will receive 8,6 billion PLN for the expansion and modernization of infrastructure, including for the construction of the central port. At the same time Port Gdynia will receive 4,5 billion PLN and the Szczecin-Świnoujście port will receive over PLN 9.5 billion for the expansion.